Four Film & TV students have spoken about their experience at the finals of World Skills UK. Level 3 Extended Diploma students, Jonny, Will, Jonny and Ryan, made it to the final with their creation of a gif earlier this year. This saw them into the finals of World Skills UK at Birmingham NEC from 15-17 November. Speaking about the challenge they were set at the final, Jonny said: “We had to make a two-minute film based around a poem, we had to incorporate it into the video. Ryan said: “There were two of us on camera work and two of us on editing. There were some challenges when there were busier times of the day during the exhibition so when we were filming, we had to plan what shots we wanted. 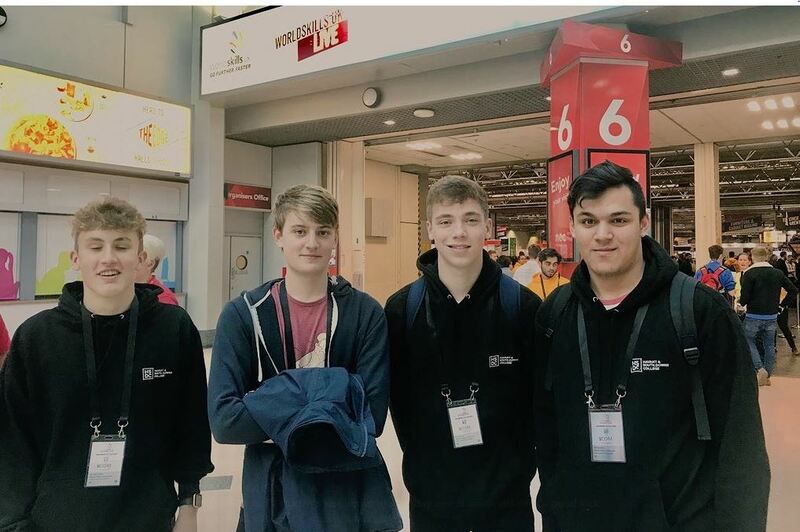 Despite not placing at the final, lecturer David Cook has spoken about how ‘proud’ he is of the team for representing the College in World Skills. He said: “The College is so proud of the students for reaching the finals.